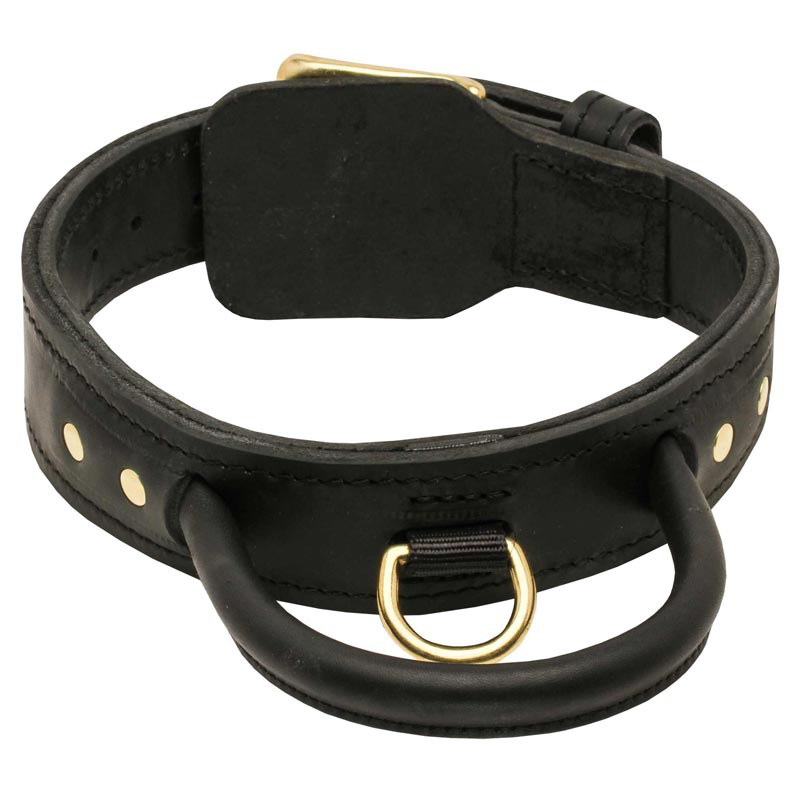 The edges of this Leather Dog Collar are polished to prevent any rubbing of your pet’s skin. So it will be very comfortable and pleasant to wear. All the hardware is extra strong and almost unbreakable. So be sure this dog item will serve you and your Rottweiler for many years. 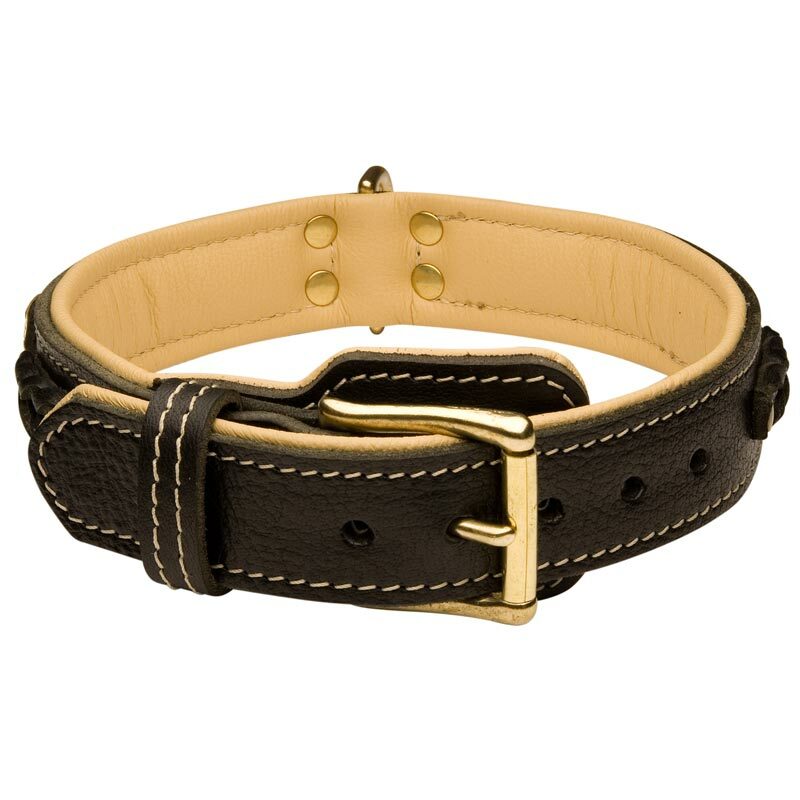 Also the Collar is equipped with fur protection plate which will help you to keep your dog’s fur in perfect condition. 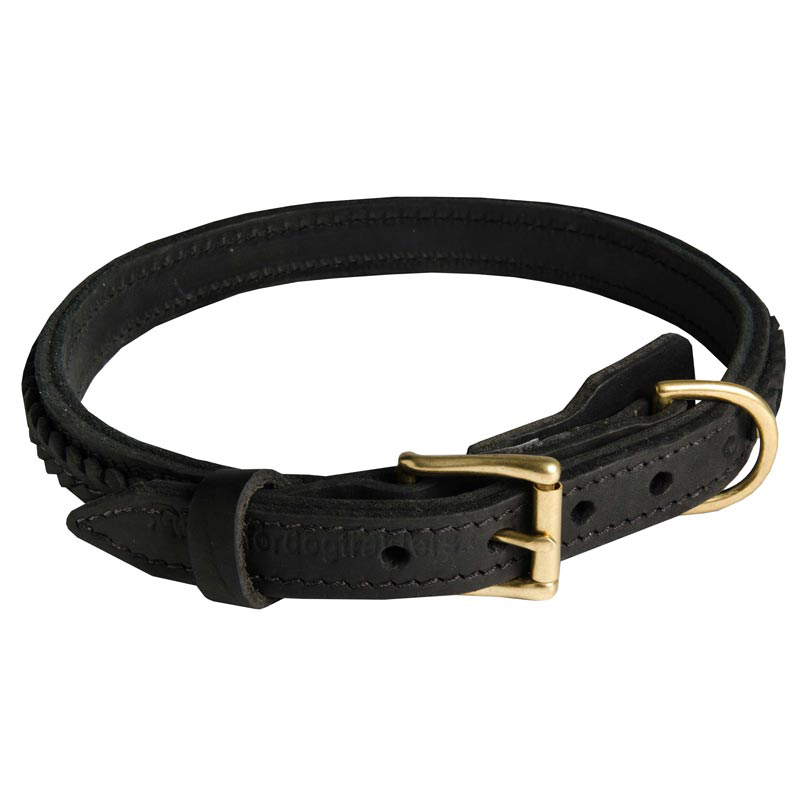 The distinctive feature of this Collar is its elegant design. Fancy leather braids are fixed on both ends with golden-like brass rivets. There will be 2 smaller size holes – 18 inch (45 cm) and 19 inch (47.5 cm). There will be 2 bigger size holes – 21 inch (52.5 cm) and 22 inch (55 cm).